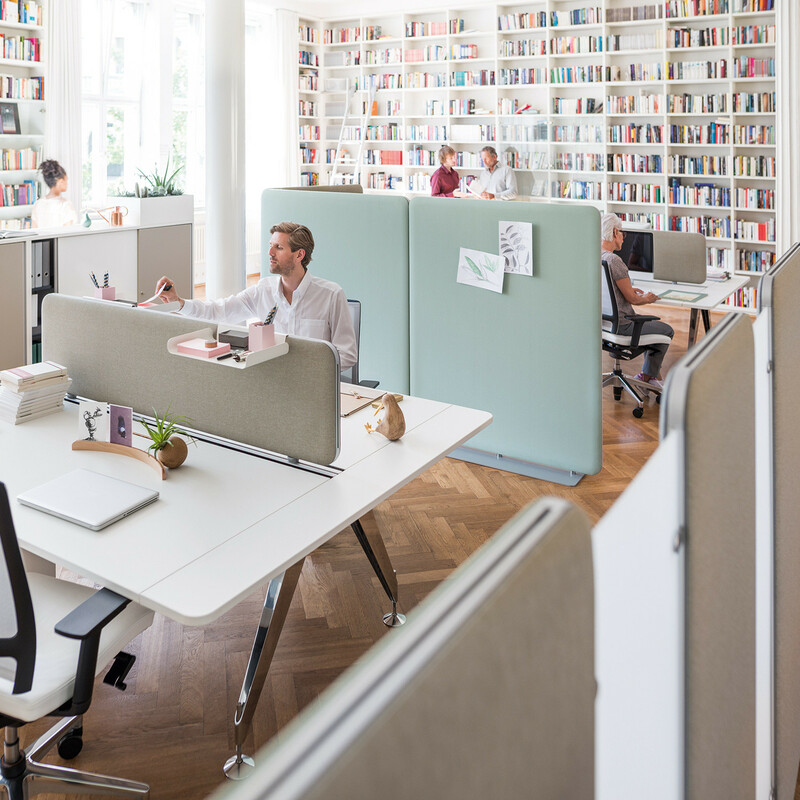 SE:Wall Room Dividers have been designed for the modern open-plan office, providing solutions for noise protection, offering visual privacy and creating communication zones. They can be creatively specified throughout open spaces to encourage communication and team work between office employees. The unique combination of acoustics, design and functionality with an attractive price-performance ratio makes Sedus se:wall room partitioning very impressive, especially when compared to conventional systems. 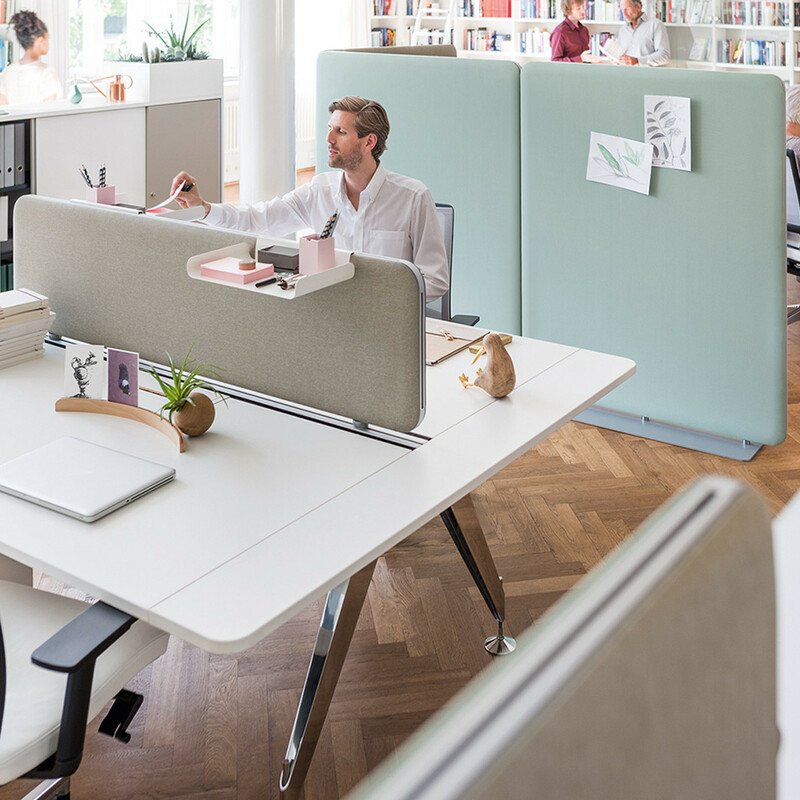 It provides privacy, zoning and an acoustic screen while ensuring maximum functionality and flexibility with a wide range of products and numerous configurations – which can be customised, if desired. Don’t let the slim appearance fool you. The highly effective fillings comply with absorption class A. SE:Wall Room Divider elements boast clear contours thanks to the visually reduced functional rails, which when combined with the high-tech look, form a conscious contrast to the soft forms of the fabric surfaces. Well-proportioned single elements nestle closely together, create flowing transitions in the room, and as a result of the elegant and rounded frame mounts, are truly attractive elements. 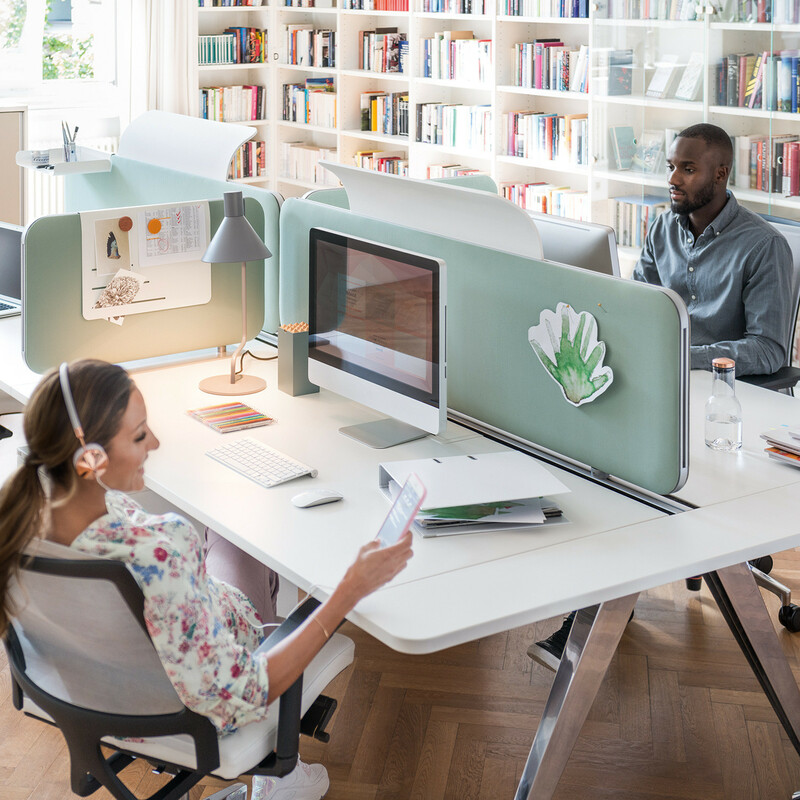 The SE:Wall range includes partition walls and desk dividing screens, which can be placed on, as well as behind, the desks. Four fabric collections provide a wide range of colours and designs with excellent acoustic properties, which also comply with the strictest of fire protection standards. The Sedus design team has also come up with “little helpers”. Accessories include versatile storage areas, screen holders, electric modules and add-on elements that direct sound. You are requesting a price for the "SE:Wall Room Dividers"
To create a new project and add "SE:Wall Room Dividers" to it please click the button below. To add "SE:Wall Room Dividers" to an existing project please select below.